There is a lot of hype in the market for finance at the moment. Why? Because fixed rates are at a 20 year low. See the graph below in regard to 3 year fixed rates and the path they have taken over the last 2 decades. This of course has led to a great deal of speculation around the position we now sit in both the interest rate cycle and the property cycle. Many market commentators feel that this level of interest rate will indeed be a catalyst to re-ignite the property markets and force those sitting on cash deposits to seek a higher return for their dollar – whether that is in the form of direct property or other market traded assets remains to be seen. However at this point the variable rates are still sitting higher than the fixed rates; which generally means the banks still feel the variable rates have more room to move lower in the short term. They feel they will make a ‘profit’ on the fixed rate over the given term. So what does this mean for the consumer? 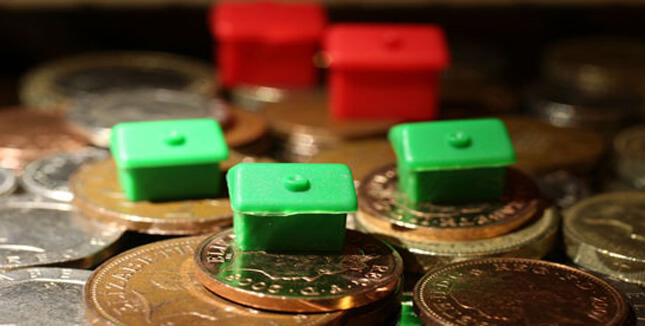 Is it time to act and secure fixed rates? Fixed rates should be viewed like an insurance policy. They give you certainty of outcome which will have a different level of ‘value’ to different people, but they do come at a ‘cost’. The reality is that over the long term you will pay more for fixed rates than you will for variable. Take for example, a young couple who are stretching themselves to buy their family home. For this scenario an adverse movement in interest rates could have a dramatic effect and leave them in financial distress, potentially a forced seller. The ‘value’ of fixing rates in regard to the peace of mind is impossible to measure and well worth it. Yet a more financially secure couple who have plenty of assets and plenty of cashflow, the ‘value’ of fixing the rates is purely a speculative play to see if they can save some interest expense. Between these two scenarios are plenty of other possibilities, this is why the concept of splitting a loan and having some as variable and some as fixed is a very common outcome. You identify the risk you are not willing to take, and you fix that portion, leaving the ‘acceptable’ risk as a variable rate. As with most financial decisions there is no absolute right or wrong approach, it all comes down to personal circumstance and tolerance to risk.